Our kitchen is currently closed for lunches until further notice. You will find a good selection of filled rolls available from the Bar at weekends. 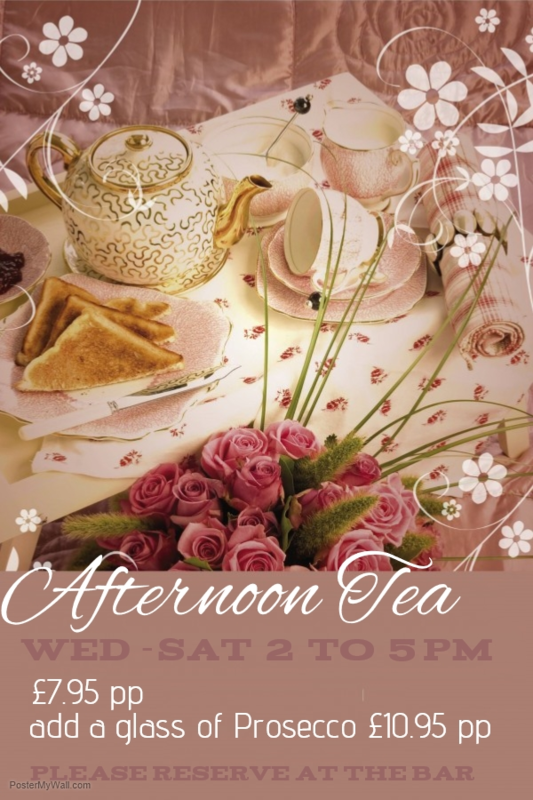 AFTERNOON TEAS are still available from 2pm - 5pm. Your choice of a pot of tea or coffee, presented on beautifully vintage table linen and vintage tableware. Add a glass of Prosecco to the above. PARTY & FUNCTION CATERING - available from our in-house catering team. Our in-house Catering Team have put together 4 menus that are for guidance only. 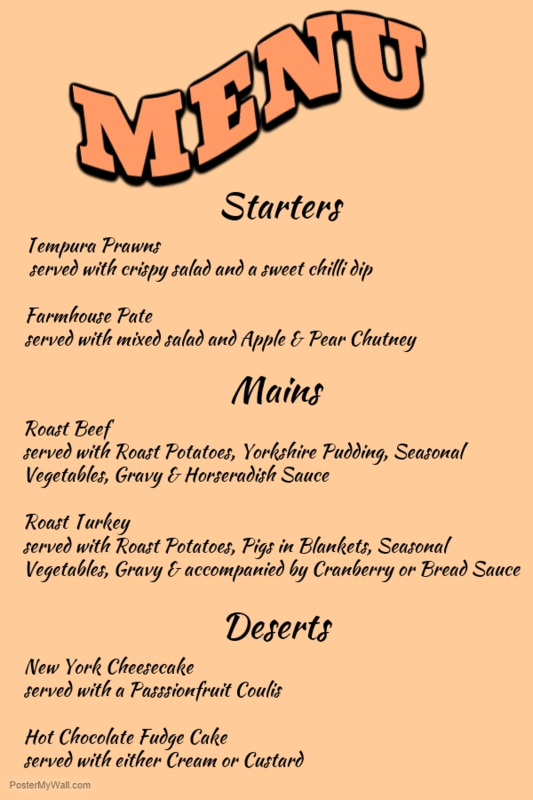 The current menus can be adapted to suit your requirements and budget. Through experience we are aware that each event is different and personal to you, therefore, we can tailor make and adapt our menus to suit your requirements. Please feel free to contact us direct for a personal quote either by popping in to the club or telephoning Julie on 01322 223300.